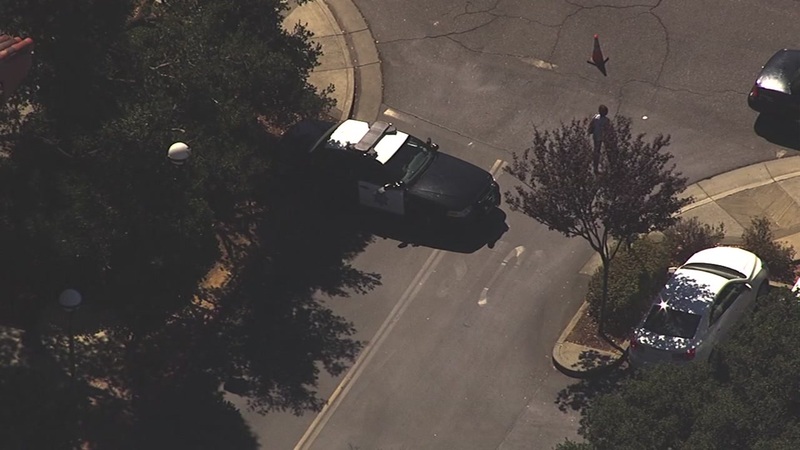 PALO ALTO, Calif. -- Palo Alto officers say they have safely detained a suspect who they say brandished a possible handgun during a nearby road rage incident, prompting a lockdown at Nordstrom. The suspect allegedly brandished what may have been a handgun during a road rage incident in the area, police said shortly before 11:30 a.m.
Officers found the suspect's vehicle at the Nordstrom department store parking lot located near Sand Hill Road between Vineyard Lane and Arboretum Road, police said. The store was under a lockdown for precautionary reasons until about 11:45 a.m., according to police. The suspect is described as an Asian man with a goatee and wearing a dark blue dress shirt with embroidery on the front, according to police.